She has finally arrived; a couple of months late, sorely missed but she has eventually come. The past few days of sunshine herald the demise of a way too long winter and though spring shall probably be short this year at least that feeling that there is hope in the world has finally come. What is it about a bit of sunshine, the odd dry day and a very small increase in temperature that makes us all want to shout with joy? The truth is it just makes you feel good. Even the birds are singing more loudly and the fields look a little greener. I think I’ll celebrate by buying myself a new toy. That’s what they have done in Hong Kong. They, our former compatriots in the British Empire, have decided to sail a huge 54 foot yellow duck down the harbour. Artist Florentijn Hofman first conceived the idea in 2001. "It makes you feel young again," Hofman says of the duck. The duck added a surreal touch to the city's iconic skyline. No doubt those in the Central financial district found time in their busy days to post countless photos taken from their high office perches to social media. I mention the British Empire not out of mockery or disdain but because the dear old empire might soon be making a bit of a comeback. Good old Blighty woke up to a bit of a surprise on Friday morning: UKIP, the new party with old ideas, wants to bring Britain out of Europe and go it alone. Not for them, the silly idea of pooling wealth and sovereignty; England for the English, tally ho! But as usual the English are a bit behind the times. All over Europe protest parties are becoming more and more vociferous. France has Marine Le Pen; Italy has Beppe Grillo and the Five Star Movement while Holland has The Party of Freedom led by Geert Wilders. There are several other large protest parties in EU countries but we don’t need to mention them here. The Free State would like a protest party but they are afraid that if they say anything Aunty Merkel shall stop giving them their pocket money. The protest parties are a sign that things are changing. The interesting point is that no one knows where the whole of Europe is heading. Are we going to split into wee groups, much as the Allies and the Axis countries of the last century? Nationalism always comes to the fore. You cannot force countries to pool sovereignty. Even the United States is basically 50 independent countries who come together for a common good. But they share a language and a currency. They have not been there long enough to form a tradition because history for the USA is only a couple of hundred years old. We may not like to admit it, but we are tribal by nature and we are also very territorial. If you don’t believe me look what happens when someone encroaches on their neighbour’s fence; civil war in the neighbourhood over half an inch of weeds! On the subject of territory, let’s come back to our own wee patch. I read something during the week that was sad but did not surprise me: there are 70,000 people in Northern Ireland living with cancer. But the term is nice: ‘living with cancer.’ It is a sign of the remarkable progress that we have made that so many people are now able to live full normal lives and who are in remission from cancer. Then there are all the good charities that do great work for people who have the disease. With 70,000 people all in various states of illness and distress there is plenty of work to be done. Thankfully there appears to be loads of volunteers willing to rise to the task. On the subject of rising, there are a lot of people in England and Wales who are soon to experience a rise in their blood pressure thanks to the Bank of Ireland. A few years ago the Bank of Ireland extended its lending spree into the heartlands of our former imperial masters and gave out ‘tracker mortgages’ in their thousands. A tracker mortgage is a mortgage that is set at one or two percent above the base rate of interest. At the time these were in fashion no one thought that the banks could possibly be what they have turned out to be, basically a huge pyramid scheme. But whisht, (there’s an old word for you) Paddy was too cute for the Sassenach. “From Wednesday, 13,500 Bank of Ireland customers will be paying a higher rate of interest on their mortgage than they were. The rise comes as the Bank of Ireland is increasing the rate paid on tracker mortgages bought between 1986 and 2004, even though the Bank of England base rate, which they are pegged to, has not gone up since 2009,” was the report in the English media this week. Hidden deep within the bowels of the mortgage contract the BoI had put a stipulation that in ‘exceptional circumstances’ the figure above the base rate at which the mortgage was charged could be unilaterally changed. In the eyes of BoI, these exceptional circumstances have arisen; there is no money in the kitty for the boss to be given a huge bonus, so they do what banks have always done, fleece the customers. And when you have a legal basis for doing it so much the better. But alas, the people of good old England may not have any money to be fleeced off! A survey by “Which” magazine found that many, perhaps millions, of nice middle class families in the UK are having to borrow money, dip into savings or use credit cards or overdrafts to buy food for the home at the end of the month. A staggering 20% of the families surveyed reported that their wage was not enough to meet the basics. However, retail sales are rising and more people are in work. Here again we are seeing the increase in the divide between those who have enough and those who have not. And David Cameron is surprised when people vote for a protest party! But you have to admit, there is a wee odd thing about the English; they do have some silly ideas. “Mama Mia!” I hear you shout, but I am only saying what we all know. I’ll tell you three things I found out over the weekend that made me think of how eccentric the English can be. 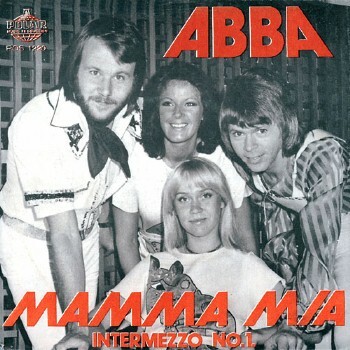 Abba were a musical sensation and important culturally. Mama Mia celebrated the fact. But not to be outdone, some Englishman with more money than wit made a musical about the Spice Girls. “Spice Girls musical Viva Forever!” is to close at the end of June, producer Judy Craymer has confirmed. But Miss Judy Craymer shall not be out of work for long. Bonnie Tyler is making a comeback. Now there is a singer. Who can forget her Need of a Hero, or her Total Eclipse of the Heart? Sixty two year old Bonnie is leaving the security of her beloved Welsh Valleys to don the United Kingdom hat at the Eurovision song contest. Does she not remember the humiliation suffered by poor old Engelbert last year? But in fairness Engelbert was 76 when he went to the Eurovision, Bonnie has a good few years on him yet. Bonnie’s tune for the event is ‘Believe in Me’ which is a reflection of a woman who wants a man to believe in her. Bonnie’s hauntingly beautiful gravelly voice, which was perfect for “Total Eclipse of the Heart” is lost in this sentimental nonsense. The video to promote the song is shot in a house flooded with sunlight which is trying to add a mystical look to the whole scene. But poor Bonnie, like most of us from the early fifties, is beginning to show the signs of too many birthdays. I hope she doesn’t make a fool of herself in the Eurovision. She gave too many happy memories to so many of us. After I finish writing this I am going to go and spend some time with my best friend. I have a best friend, you know. But according to the new politically correct attitude of some English head teachers I am being anti social because having a best friend excludes others who might want to be friends with your uncle Turlough. 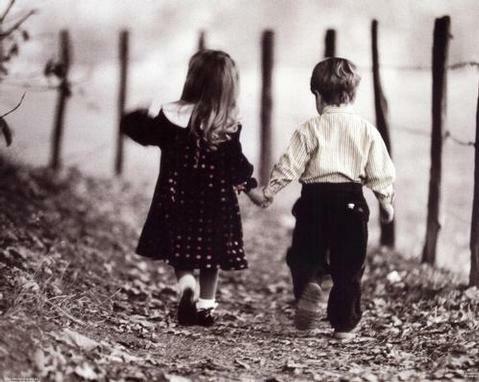 “A head teacher of a leading primary school has said young children should not have best friends because it could leave others feeling ostracised and hurt,” reported the BBC at the weekend. Did you ever hear such clap trap? Then to add insult to injury they brought on a philosopher, one Mark Vernon who recently wrote a book called “The Philosophy of Friendship”. Of course the discovery of ‘Best Friend’ syndrome, (it has been round for thousands of years, you know) came in New York in 2010. Would someone please check the date, is it April 1st? That should be posted above the door of every school and university in the land; but poor Thomas, saint, Doctor of the Church and possibly the greatest thinker the world has known, was psychologically flawed because he had a best friend, one Albertus Magnus, or St Albert the Great, to give him his English name. St Albert was also made a saint and Doctor of the Church. These two men were fundamental agents in the setting up of the universities across Europe in the 1200s and their contribution to serious western thought could not be measured. In an age where people believe a new nonsense every week, Thomas’ saying “There is no proposition so preposterous that someone will not believe it,” has never had more relevance. My proof of this theorem: someone thought the Spice Girls were worth a musical! At the end of the day reality sets in. And there is nothing like a good dose of financial woe to make reality really bite. The good citizens of the city of Derry are learning that being made a ‘City of Culture’ is not all it is cracked up to be. “Some events at the UK City of Culture programme in Londonderry may have to be cut back because of a shortfall in funding. Let’s be honest, Derry suffers from the handicap that we in the new North always suffer from. We are just too far away from anywhere important. 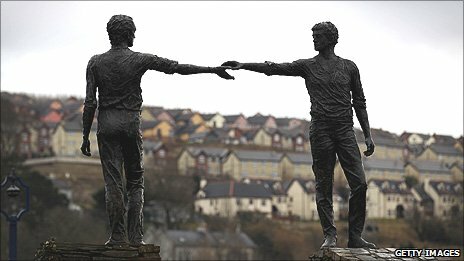 Would you, if you were living in London, fly to Derry for an event of culture when you live in the centre of European civilisation? In a time when everyone thought the world to be flat, this was a beautiful but apt description of Ireland. And we are still at the edge of the world, and poor Derry is at the edge of the island at the edge of the world. What Derry needs now is a best friend. I have a best friend. I talk to him every day, sometimes many times a day. His phone is never off, he is always at home and he always has time to listen to me. My best friend speaks to me through nature, through his book and especially through people. As I grow older I am finding that my best friend is growing more important and relevant in my life; family members and friends are going off to meet him face to face and I am beginning to realise that someday I shall have to do this myself. My best friend gives me hope and encouragement, makes me feel loved and secure and, like all best friends should be, he is always there for me. He is so special that I may even get to spend eternity with him. You might read this and use my own words against me, ‘There is no proposition so preposterous that someone will not believe it,’ or you might say that I am psychologically and emotionally stunted, but I don’t care. My best friend tells me to let the secularists and the atheists go there, and to get on with building our relationship. I think he’s right because he makes my world beautiful.